How do organizations remain competitive? In a globalizing and constantly changing market, this is a complex issue. At Global Business Services, operating within KPMG Finance & Business Services Advisory, we take on this challenge together with our clients. We support global profit and non-profit organizations in optimizing and transforming their business processes. From strategy, governance and implementation to further optimization: at the market leader in Global Business Services advisory services, you experience the depth of the industry. Is the service not provided adequately, too expensive or does it lack quality? Then it is time to consider how business processes (for example Finance, HR or IT) can be structured differently. Is it possible to outsource services? Or would it be better to place the Finance and HR services in a Shared Service Center or a Global Business Services organization? Or is it more sensible to bring some of the operational processes back in-house? 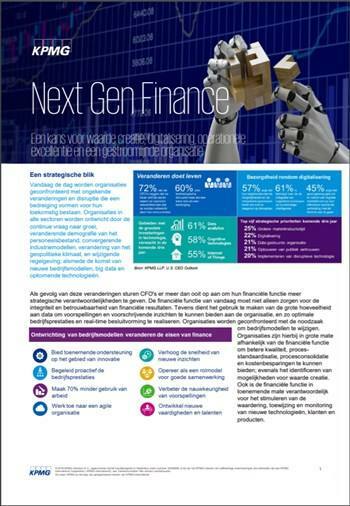 KPMG Finance & Business Services supports our clients to determine their strategy on these topics. And that's not all: we also support clients in their strategy implementation, for example in contract tendering, in setting up a shared services center and by guiding and supporting the client during transition and transformation. After that, we continue to help our clients and provide advice on governance and the structuring of the new retained organization. Is the new organization in place? Then we will also look at how processes can be further improved. By means of benchmarks, assessments, audits and possibly mediations. For our Global Business Services team we are currently looking for a Manager with Finance and/or HR expertise in the context of Shared Service Centers and Global Business Services. In this position, you are responsible for the expansion of our services and the development of the market in this field. You are also responsible for strengthening the relationship with existing customers and attracting new customers. In a century we have grown from a single Dutch office to an organization with more than 170,000 passionate professionals worldwide. Who inspire you to be the best version of yourself and keep developing yourself. For each project, we bring the ideal combination of talents together. We do not discriminate on gender, age, cultural background, sexual orientation or employment restriction. Everyone is welcome, as long as you join us in putting your mind to it, realizing changes, developing your talents and celebrating success. This comes with all the space you need to develop yourself further and shape your own career. You have leadership qualities and demonstrated that you can bring complex projects to a successful end together with a team. You are result-oriented, like to work on a project basis and the variety that goes with it. You are open to international working environments in which travel is sometimes necessary. You are interested in the world around you and are engaged in society. KPMG is an international network of companies with personal attention for employees. We have a strong market position. Our people work closely together on a daily basis in a pleasant and stimulating environment where we provide services to domestic and international clients.Personal development is central to KPMG. Through targeted training, education and coaching, we help our employees to excel and get the best out of themselves. We offer you an excellent package of primary and secondary benefits (laptop, smartphone, reimbursement of expenses and non-contributory pension), which are tailored to the latest developments in the market. For more information about the application procedure, you can contact the responsible recruiter. Apply directly? Then click on the 'apply' button below. 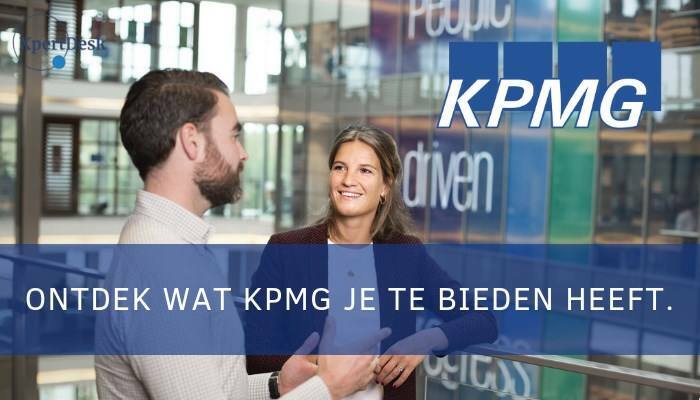 Please send your application for Manager Global Business Services at KPMG in Amstelveen including your CV via our website. Controlcarriere.nl is onderdeel van het platform van CareerGuide, 25 vacaturebanken voor specialisten!